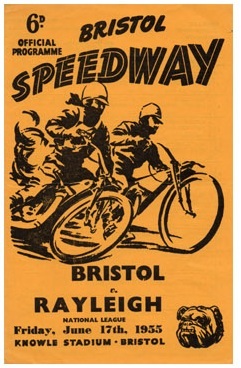 Speedway racing has taken place in two different venues in Bristol, Knowle Stadium and Eastville Stadium since 1928. 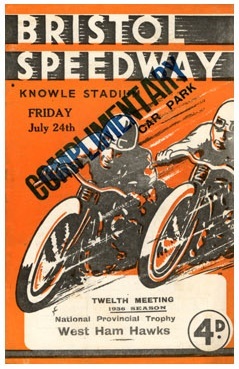 The first dirt-track meeting was held at Knowle on 25th August 1928 when the Golden Helmet was won by Len Parker, although in this initial phase the site was only used until 1930. 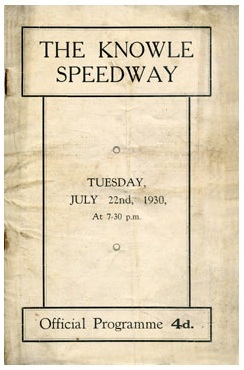 Racing did return in 1936 when Bristol were triumphant in defeating Southampton by 38-32. 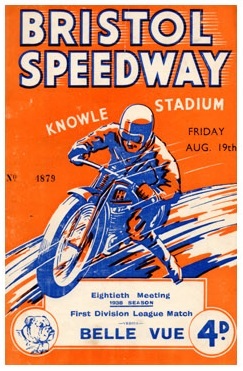 The final meeting at Knowle was on 28th Januray 1961and it was some 16 years before racing returned at Eastville. 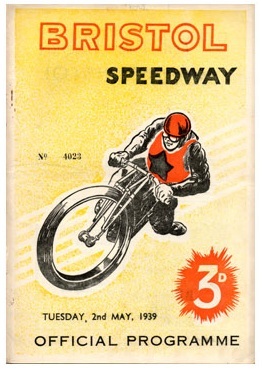 Wally Mawdsley, later of Arena- Essex fame, brought speedway to Eastville when the team went straight into the British League, but the joy was short-lived and the final meeting took place on 27th October 1978. 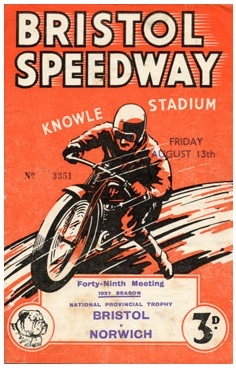 The first greyhound meeting to take place in the Bristol area was at Knowle on 23rd July 1927, although the 406 metre Eastville circuit witnessed its first meeting in July 1932 where it shared its facilities with Bristol Rovers football club. The most prestigious races to be held at the circuit were the Golden Crest, which was run over 500 yards, and the Western Produce Stakes which was won in 1948 by the brilliant Narrogar Ann who later went on to triumph in the Greyhound Derby. Fact The Team has always been known as the Bristol Bulldogs since its early days in 1928.